ERP system training is one of the many important tasks to consider when planning your implementation. Training can help your staff understand the benefits of the system, both to them and to the company. It can help identify any new processes, new responsibilities, and questions about the system. Training is an opportunity to make sure everyone knows the procedures, their responsibilities in those procedures, and how to accomplish them with your ERP system. These benefits aren’t limited to new implementations – your business can benefit from training if you’ve hired new employees, or if it’s been a few years since your original implementation. When training, keep the information relevant to the users. Don’t give warehouse workers reason to ask why they’re in your session because you’re spending too much time talking about how customer service reps take orders. Including a system-wide overview is necessary, but training is most useful when the people attending can relate it directly to their daily work. Be sure to include practice sessions for your attendees. Each type of transaction should be followed through the system in detail by users or representatives from each department involved. This will help ensure everyone is familiar with the transaction flow and that all of the steps are followed and understood. Remember to include managers and users who maintain your system. Hands-on sessions are important because users are able to actually experience and get familiar with the software. This allows them to witness the system in action and interact with it. This also helps improve process plans, and ultimately project success. If possible, leave users with documentation and training aids. Representatives from each department may find them helpful when they pass on their training to their co-workers. Printed exercises and questions with answers will allow users to practice what they learned and improve what they know. Recordings of the training sessions may also be useful for future training sessions; as new employees arrive, they might watch the videos and use the training aids to get started. And remember to provide a contact point for when they need help in the future. Finally, always leave feedback forms so you know how helpful the training is, and use it to keep improving your training sessions. Whether your ERP system is new, or you have new employees who need to learn how to use it, or it’s been awhile since your current employees have learned the system, sufficient and relevant training is critical to using your ERP system to its fullest advantage. Contact us for a demo of InOrder. Many software programs provide right-click menus to access functions between windows. With InOrder ERP, this feature allows users to be more efficient, rather than having them open and close various windows to do the same tasks. You would typically see right-click menu options when they’re convenient to use for related functions. 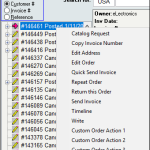 For example, InOrder provides a right-click menu for related functions when entering orders. This makes it efficient for Customer Service Representatives to perform additional tasks while they’re assisting customers with order entry. 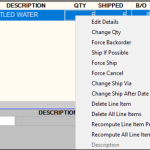 The options on the right-click menu can allow orders to be shipped, cancelled, changed, or other order-related functions can be completed. 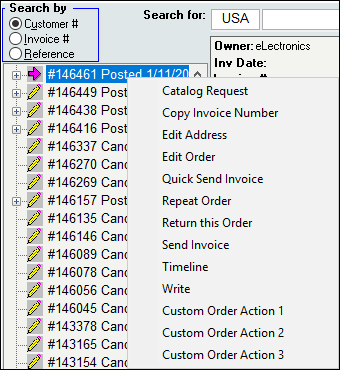 While looking up orders for a customer, the right-click menu can also be used to fill an order, repeat it, edit it, or return it, among several other time-saving options, such as sending an invoice or an Email. You can even use this as an opportunity to customize right-click options to fit your business procedures. Right-click menu options are time-savers and can minimize human errors. 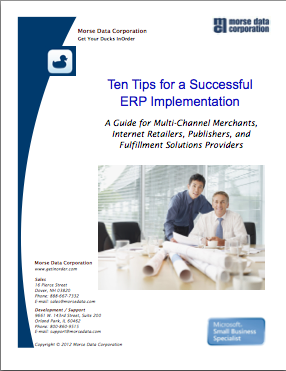 Be sure to include them in your on-going training for your ERP system. Contact us for more information about InOrder. Businesses are making it easier and more pleasant for shoppers to buy from them, so you know that exceptional service, top quality items, and competitive prices are critical. They can determine whether you get sales, good references, and future customers. Here are five reasons eCommerce shoppers avoid online stores, and insights on making your business more attractive to them. 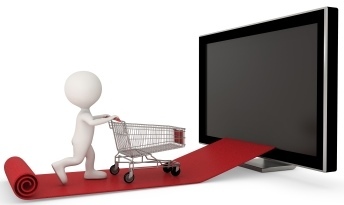 Offer Only Common Products and Limited Choices – According to a study in 2016 by UPS, shoppers prefer to begin searching on marketplaces for product selection and availability. While large selection is important (and the reason many shoppers begin searching at a marketplace), unique products are also important and shoppers will seek them out, rather than settling for common and easy to find items. Don’t Provide Reviews – Reviews can increase sales by steering and bolstering confidence as shoppers are considering their purchases. Additionally, it is important to know what your customers think of your products because then you know how you can improve your offerings, and where you should consider raising or lowering prices. If your ERP system provides the capability, you can enable live crowd sourcing so your customers can provide feedback for products. You can even provide online forums or Q&A sections. After each purchase, ask for a review of both the shopping experience and the product. This lets the customer know that you still care even after the sale. And when your customers take the time to send their valuable opinions, make sure to review and display them as soon as possible. 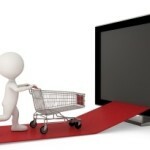 Charge High Pricing – Pricing is one of the most important considerations for today’s shopper. Even mobile device users compare prices and search for retail coupons. These shoppers enroll in membership/loyalty programs, and check promotions on social media, following retailers for deals, coupons, and holiday specials. Charge High Shipping Costs – Free shipping is very appealing to shoppers, and many will abandon their carts if shipping costs are too high. One successful approach is to offer shipping subscriptions. With this option, customers are much more likely to place frequent orders instead of waiting to buy because they want to make shipping worthwhile. Devise Complicated Return policies – As can be expected with online purchases, returns may be higher. But don’t make your return procedures so complicated that shoppers won’t buy from you. Shoppers are willing to drop off their returns at carrier locations or take their returns to a physical store. In-store return options provide opportunities for retailers to make these experiences easy for shoppers, who might make additional purchases while making their returns. If you have a physical store and customers are willing to visit, use this as an opportunity to build better relationships with them. From simple return policies, to unique items and competitive prices, today’s shoppers expect the best, and if you don’t provide what they expect, they’ll find another eCommerce site that will. Contact us for a demo to get your eCommerce InOrder.